When giving, please choose the option "Next Step Building Fund." For 21 years God has continually provided for Calvary Church in ways that we could never have imagined. When we started this journey, we did so on the promise that “where God guides, God provides.” As we remained faithful to teach the Word of God, He continued to grow the church and increase space for us to do His work. With the increase of space would always come an increase of people coming to hear His Word. We began teaching God’s Word in Jupiter High School, and God began growing Calvary Church. God provided a permanent place to grow through our current buildings, and He continued to grow the church. God provided the opportunity for us to purchase our 7 acres, preparing the way for more future growth. God gave us the opportunity to lease our current Elementary and Group ministry space, bringing more people and families to hear God’s Word. 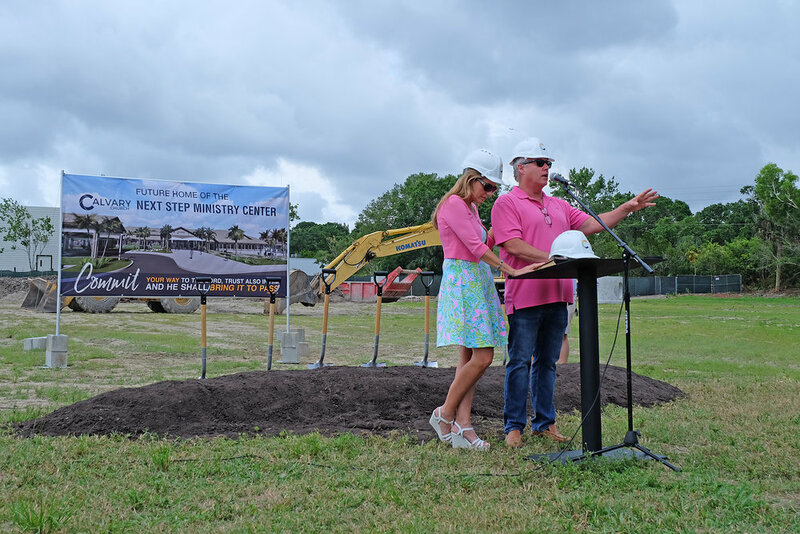 Through a generous financial gift, God allowed us to pay-off our loan and own the land we’ll use for the future Next Step Ministry Center. We opened the Video Venue and added parking on our 7 acres as people continued to be excited and invite their friends to Calvary Church. God continued to grow the church, and we needed to add a 3rd service to allow for more people to hear God’s Word. Excitement grew as we saw God continue to open doors for zoning approval of our Next Step Ministry Center. Site work started as we prepared the ground to host our Next Step Ministry Center. Here in 2018, we believe God is preparing to do even greater things! We believe as we work together and take this Next Step of faith, we will watch God do more than we could ever hope or imagine. We have the opportunity to trust Him to accomplish great things through the ministry of Calvary Church. We are “Committing our way unto the Lord, trusting also in Him that He will bring it to pass.” (Psalm 37:5) and you have the opportunity to join with us through prayer and giving of your time, talent and treasure. Every day we are thankful God called us to pastor Calvary Church. 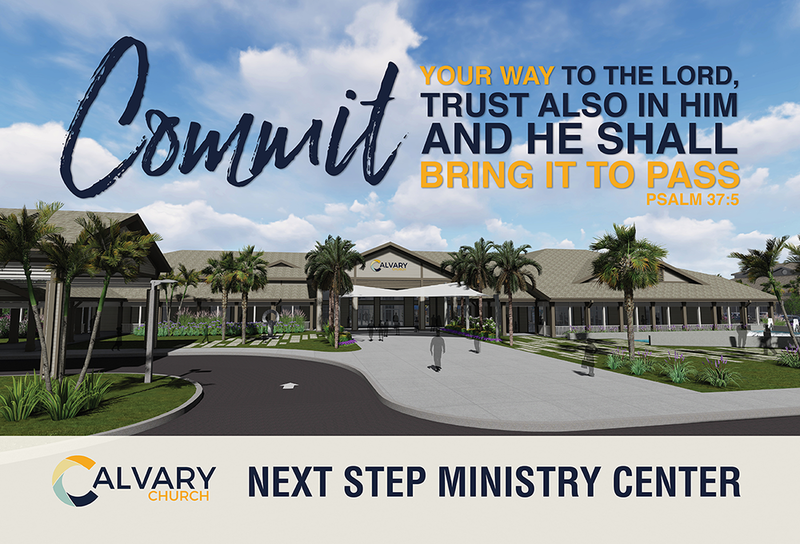 May God bless you as you consider your part in participating with us to help make our Next Step Ministry Center a reality as we continue to LIVE, LOVE & SHARE God’s Word.